UPDATE: A rep for the couple tells Us Weekly in a statement: "We can confirm that Peta and Maks have had their baby boy, Shai Aleksander Chmerkovskiy, born on Wednesday, January 4th at 5:34 a.m. 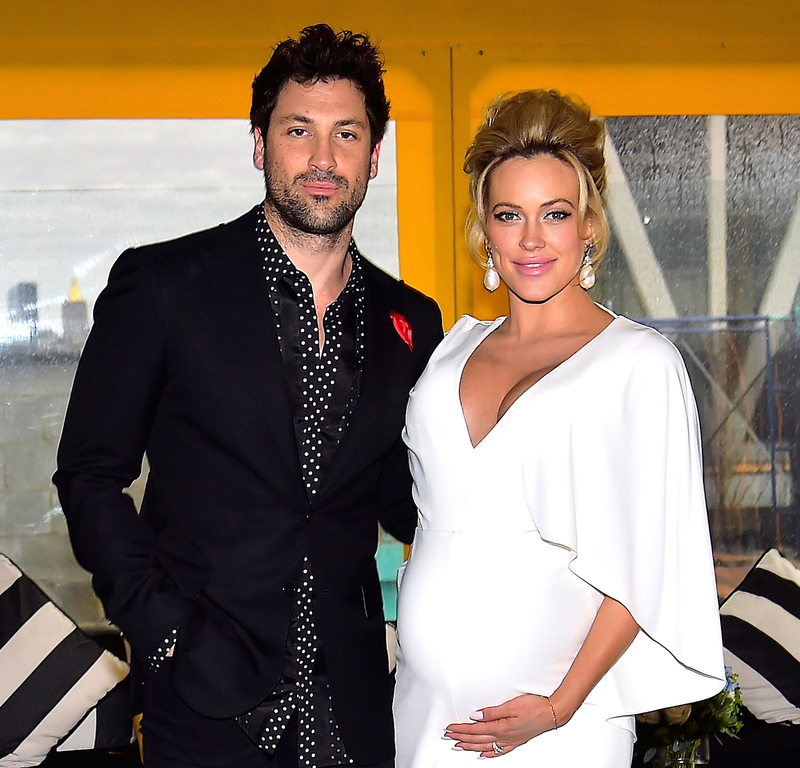 Per the couple, &apos;This is, without a doubt, the best thing that has ever happened to us!&apos;"
Congratulations are in order for Peta Murgatroyd and Maksim Chmerkovskiy! The Dancing With the Stars pros welcomed their first child together Wednesday, January 4. Chmerkovskiy announced the birth on Twitter, revealing that he and Murgatroyd had named their son Shai Aleksander Chmerkovskiy. The news comes just a day after Chmerkovskiy&apos;s brother Val posted an Instagram video saying he was "expecting to be an uncle very soon." As Val put it, "My sister-in-law Peta Murgatroyd is literally delivering the baby as soon as I&apos;m done with this video, hopefully." On Monday, Chmerkovskiy posted a photo of his longtime love putting on mascara while sitting in a hospital bed. "But first … a little makeup," he captioned the pic. But first…a little make up ? Us Weekly confirmed back in May that the happy couple, who got engaged December 2015, were expecting. Murgatroyd debuted her baby bump on Instagram a month later, posting a photo of Chmerkovskiy kissing her bare belly. "We couldn&apos;t be happier," she wrote. "Baby Chmerkovskiy is coming." "I&apos;m ready!" Chmerkovskiy, 36, told Us Weekly at a DWTS event in September. "But I&apos;ve been ready [to be a dad] since I was like 21. But now I know that I&apos;m ready, I&apos;m like, &apos;Thank God it didn&apos;t happen before.&apos;"
Of his fiancée, whom he first dated for 10 months back in 2012 and 2013, he added: "I think she&apos;s going to be an amazing mom. We&apos;re going to look back on this process and say we had one of the easiest pregnancies."